WATCH OUR 2018 TELLY WINNERS! Content is KING and Studio Center is The King of Content! During the last 13 years we’ve completed almost 150,000 projects! We’ve won thousands of audio and video awards including over 100 TELLYS for Outstanding Video Production! 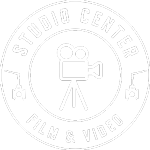 YOU need video more than ever and we have a litany of talent, resources and facilities to bring you the very best video content with our legendary Studio Center Customer Service! Look around and if you like what you see, call or email us ANY time and we’ll get your project underway! I love working with people who understand this crazy business that we work in ... yet always maintain a wonderful and professional demeanor. Studio Center has been accommodating our studio for over 20yrs. Your service only gets better and better. Amazing studio, fantastic location, incredible folks at SC who make sure to get the job done right the first time. We love SC! Where else can you record great voices AND get fresh-baked cookies?! I love the prompt service...attention to detail... and your willingness to help get the production out at the 12th hour. I have been doing work with Studio Center since 1997... and the service is always top notch! Debbie made the project a breeze. She was accessible and easy to work with. I was in need of a really quick (read 12-hour turnaround!) on getting a recording date and estimate together, and Mercedes was there for me. Couldn't be more grateful, your team is great!! The flexibility and immediate responses from my rep! Excellent and top tier customer service around the clock. Tight turnaround without blinking an eye. Super professional service. Fun to work with. Gems all around, but Kevin Watkins and Maria Rhodes rock. Your film crew and production crew was awesome and really did make the video turn out to be what it NEEDED to be, rather that what I thought it should be. Veronica is always very helpful with VO castings and bookings - also the Engineers we work with (mainly Bob and Chris) are supportive, fast, and know their stuff! You make me look like a hero to our clients, and I know we are alway running an outstanding commercial that will deliver results. As one of the only producers for the entire Army, quick turn-arounds and tight deadlines are an everyday thing. I needed a Voice Over quick and SC got it done! Your producers are the best. Can't beat the service we get from Veronica, time and time again. It was an incredibly simple process, which I appreciated since this was my first time directing a voiceover session. And since it seems probable that I'll need a bit more of this work in the future, it was reassuring to find a vendor that I can have as my go-to source for VO talent and production. Veronica DuPonty was incredibly informative, friendly, and responded to my phone calls and e-mails promptly. Friendly service and quick turn around. Willing to go above and beyond to help us with projects. Maria was great! Love Lana. Very professional, responsive, and understanding of the project. Turn around time was great, decent variety of talent options...you guys nailed it! I think you do a really great job of working with my always frantic requests and quick changes. Veronica is a total pro and very responsive even at odd hours which we all can appreciate. Our engineer Alan is always easy to work with, and Mercedes does a great job getting our logistics in place for recording. The process is always smooth and hassle-free. The customer service Mercedes Mendez provided. She was very responsive; suggested voice talent that would be appropriate for the project and scheduled studio time immediately. Graham and Eddie listened to our vo needs and were able to hit on the style we needed right away. Received the audio files within minutes after the session. Perfection. Great engineering people who are on time and great at what they do. Also Veronica is very prompt and gets us talent ASAP. Everyone from the account people to the audio producers to the accounting department is a joy to work with. You do a really great job of working with my always frantic requests and quick changes. Veronica is a total pro and very responsive even at odd hours which we all can appreciate. Alan Swenson is an AMAZING engineer, and the talent, Deborah, was lovely to work with. Maria Rhodes very fast at responding! Mercedes pulled together and estimated a rush VO session nearly instantly, & Peter Pope knocked it out of the park as always. I remember being fairly hungry during the session. I could have used a snack. Responsive, professional and great. Mercedes is fantastic! Everyone is so friendly and easy going, and it went perfectly! Love the way Studio Center was able to get this recording done for us same day. Courtesy and professional employees. Everything was great! Love the ease of scheduling a session and the variety of talent. Have always loved SC, awesome work and great people! I love how Studio Center makes my life easier. One stop shopping for talent and production, great attitude from the staff and terrific results. The quality of the VO and communication with the Studio Center staff was exceptional. Detailed quote, quick session & turnaround on files. Love the ease of scheduling studio and talent at the same time! I can count on SC keeping up with the fast pace of our retail needs. I appreciate the estimates early on too. That helps a ton. Staff is the best! Very friendly and highly skilled. Consistently great. Great people, great technology, great customer experience! Very strong follow up. It made me feel important. For us, we love your responsiveness and drive to help us find the talent we need. Love the professionalism of the audio engineer and talent, and the ease of scheduling with Mercedes. Ease of setting up the session. it was quick and easy. Mercedes really is the best -- so easy to work with! Peter is great to work with, always does a great work. Quick deliverables! Keep up the good work! Very quick to make work come together, fast delivery of files! Friendly service, very accommodating, and plenty of availability! Mercedes makes everything easy and your talent pool is great! Easy to schedule and set up VO session. Audio engineer was knowledgeable and helpful. What did you Love about working with us? "Still everything, I demand and you meet!" Convenience, speed, friendliness, value, talent. I love your quick response to requests. Worked within my budget and delivered choices. You are very hands on and I like that! Very easy to use online resources! Ability to turn around scheduling requests quickly. Love how easy it is. It is a pleasure to have 1 point person for all needs, who was also extremely helpful. I actually had a complete positive experience. Always attentive, always on time, always prepared, and ALWAYS a quick response to questions or requests. Love the quick turnaround and great customer service. Love everything, but the flexibility and hospitality really stand out. As a novice producer, Studio Center was very easy to work with and very helpful accommodating my clients. Judging from my first experience with Studio Center, there isn't anything I can think of now that needs to change. Love how friendly everyone is. Everything was great. Even though there was a scheduling hiccup, it still went swimmingly. Great engineer/producer and perfect DRU as usual! The creativity, energy, enthusiasm, and "we-can-make-that-happen" mindset. The quality of the product was never in question. Customer service from start to finish! Everything was great. I like working with Lana and Graham. Graham seems to get my stupid jokes. That goes a long way toward client satisfaction. Went smoothly. No complaints. Always so convenient and easy! Quality and speed, and personality. Everyone was so great to work with and the speed is amazing. Really love the extra effort! You guys were great! Easy and seamless from start to finish. Quick turnaround and easy scheduling! Friendly staff! It's always a pleasure working with the team. Great folks, lots of artistic talent, project outcome was better than expected. The professionalism of the staff and the high quality of the product. You guys knocked it out of the park. I love the convenience and professionalism of everybody from the production coordinator... to the engineer... to the talent. Just about everything goes smoothly and you're hella more organized than me. Love your engineers. Your staff are fantastic! They are prompt, easy to work with, understanding, helpful and go the extra mile. Friendly people who are also very talented. Made my ideas better. Always willing to make changes, very patient. Everyone was very friendly & helpful with negotiating rates. You all just make it so easy to get work done! Especially last minute requests. The team was knowledgeable, professional, responsive, creative and positive! I loved the can-do attitude! I'm always impressed with the responsiveness of everyone in the project. Professional in every aspect. You're very responsive and the voiceovers always sound great. There is a lot of talent to chose from, and you do a great job of scheduling them for our needs. So you're ready for your close-up. Or you just want to audition some talent. Or maybe you'd like an estimate. Or an explanation of the Electoral College. Whatever you need, you can do it via the phone or online.